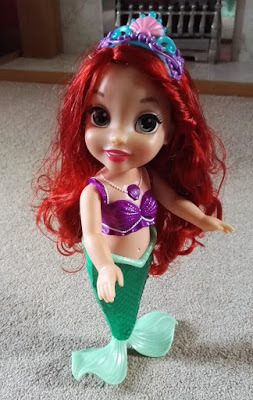 To see a review of the 2018 version of the underwater Ariel Toddler doll click here. You probably don’t recall unless you’re some kind of blog reading savant or have had the misfortune to listen to me ranting about it, but we bought an Ariel Disney Princess doll for her to take on holiday, and we still have it, but the bloody thing falls apart as soon as you look at it so I wanted an opportunity to quietly dispose of the wretched thing. 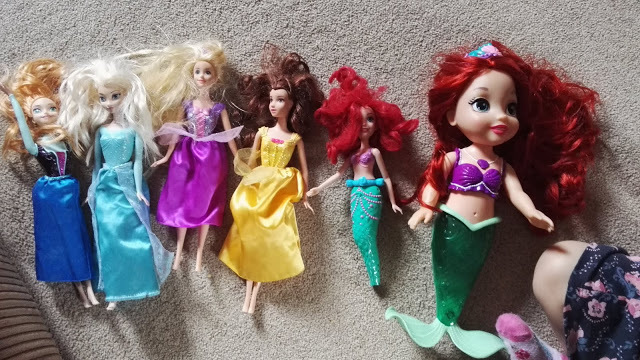 We were delighted to be given the opportunity to review the new light up, singing Disney Princess Colours of The Sea Ariel Doll from toy company Jakks Pacific. 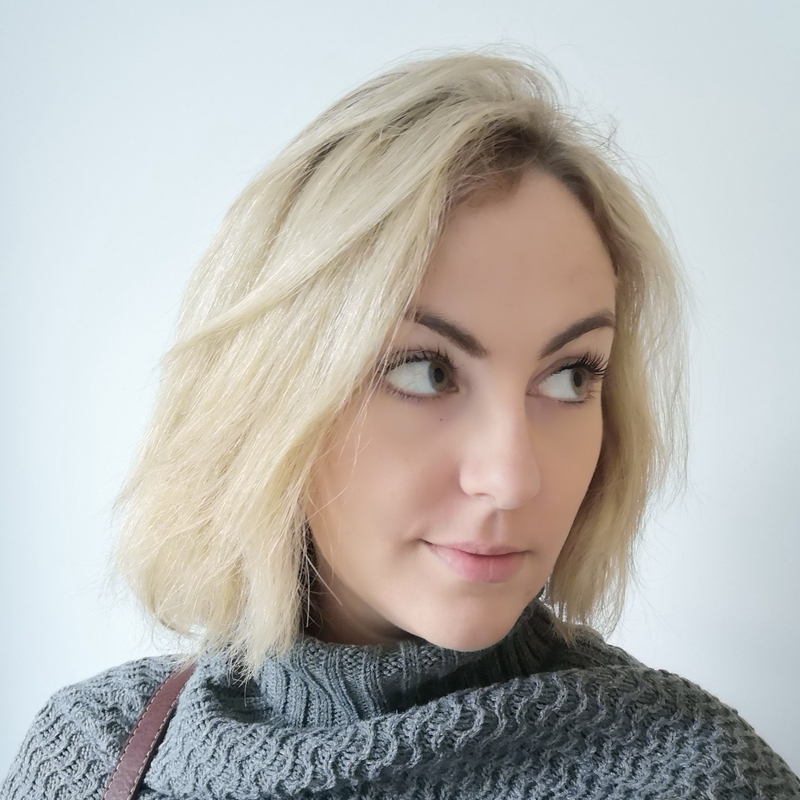 I had a somewhat ridiculous notion that the doll would arrive, and we would say a cordial hello, maybe pose for some nice photos, before putting her back into the box and waiting for the big one’s birthday next month. Idiot. The Colours of the Sea Ariel toddler doll arrived in the middle of the day. Knowing what the box contained, I used opening it as a bribe to get the kids upstairs and dressed. I really do fail as a parent some days and I’m totally comfortable with that, however for that reason I don’t have lovely arty photographs of the box. As soon as we opened up the box and freed Colours of the Sea Ariel from her plastic cage, the big one was in love. This was her face upon meeting Gigantic Ariel, which is her name. And this was how I came downstairs after putting the small one down to nap. 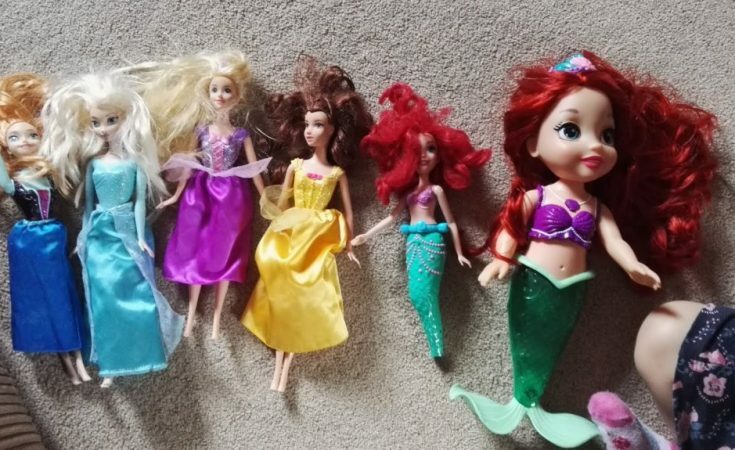 Colours of the Sea Ariel doll has lovely long, brushable hair. 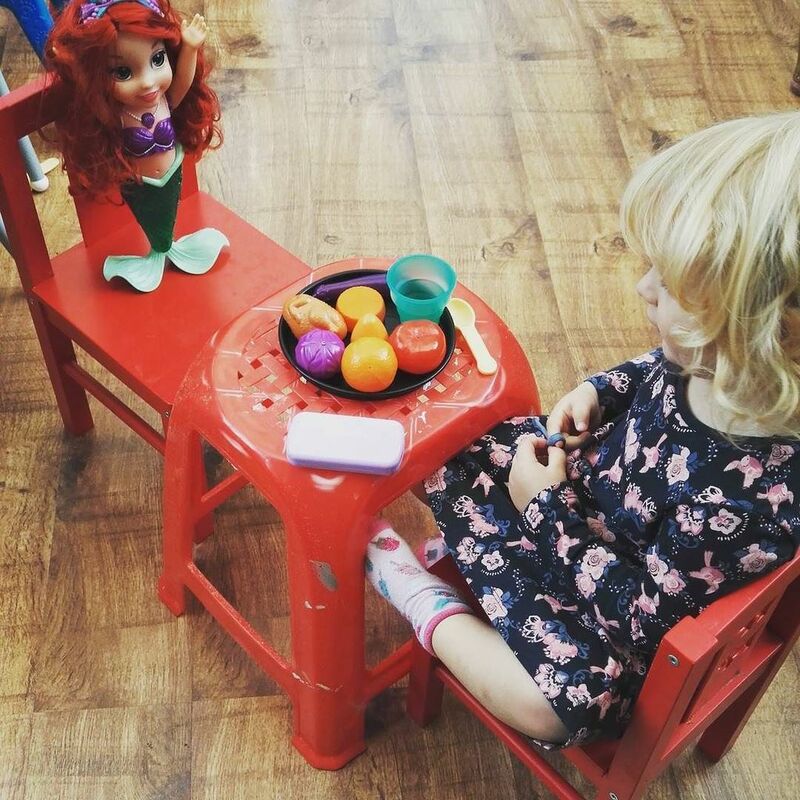 She stands up on her fins, and she talks and sings when you press her necklace. 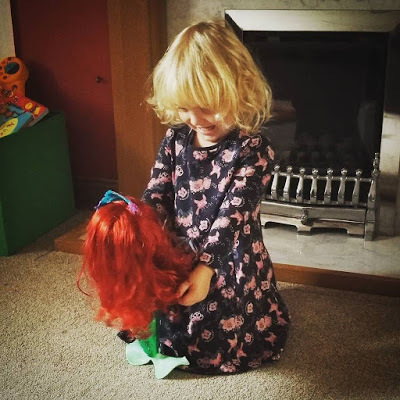 She also talks and sings in Spanish if you press a button on her back but it makes my toddler cry and scream SHE’S BROKEN MUMMY so we don’t do that. Ariel is more than just a talking doll though! When submersed in water the magic happens; her tail lights up on contact with water. She can be fully submersed so is safe to use as a bath toy. Now, because my photographs aren’t really what the kids would call totes profesh, I thought I’d attempt some videos with this one, so here is Ariel in full flow, in the bath, with the big one singing along and the small one adding in his own sound affects at the end. 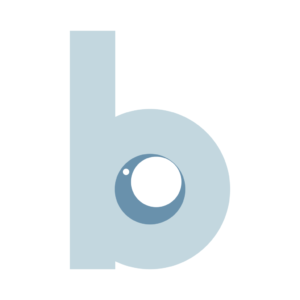 You can see inferior Ariel bobbing around just next to her…She has definitely quelled the bath time battle for now. In conclusion, if we didn’t already own this doll, we probably would soon. I can’t say the repetitive music and sayings are exactly my cup of tea but the big one loves her. She has taken her everywhere. It’s going to be very tricky topping this for her birthday. I’ll leave you with this one. 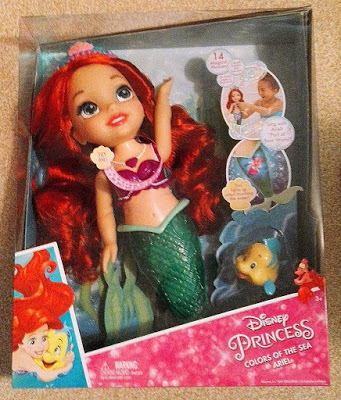 You can buy Ariel from Amazon using this affiliate link and from all good stockists. We were sent this Colours of the Sea Ariel Toddler doll free of charge but words and opinions are all mine.